God Almighty said: “Mankind ! We created you from a pair of a male and female, and made you into nations and tribes that ye may know each other. The most honoured of you in the sight of God is the most righteous of you” (Al Hujurat: 13). Amman, the capital of the Hashemite Kingdom of Jordan, seizes the opportunity of this Holy Month of Ramadan, in which the Holy Quran was revealed, to issue a statement to the public, to our brethren in Muslim lands and in this whole world. We are aware of the dangers and challenges the Islamic Nation is facing today at this difficult juncture of its course. Evils threaten its identity, incite disunity, tarnish its religion and assail its tenets; they attack fiercely the very message of Islam. Some who attack Islam imagine it is their enemy. But it is not their enemy. Others, who claim to belong to Islam, have done gruesome and criminal acts in its name. The message that is under attack is the message of tolerance, revealed by the Almighty to His prophet Muhammad, God’s prayers and salutations be upon him, and carried after him by his orthodox successors and household members: a message of brotherhood and humanity; forming a righteous religion that embraces the entire sphere of human life, upholding what is good and forbidding what is wrong, accepting of others, and honouring all human beings. Over many years, the Hashemite Kingdom of Jordan has sought to repel assaults on Islam by halting the fallacies against it and promoting true understanding of the faith. These efforts are inspired by the religious and historical legacy of the Hashemite monarchy, honoured as direct descendants of the Prophet, the Messenger of God. For five decades, his late Majesty King Hussein Bin Talal, God rest his soul, persisted tirelessly to reform the image and support the unity of the world’s Muslims. 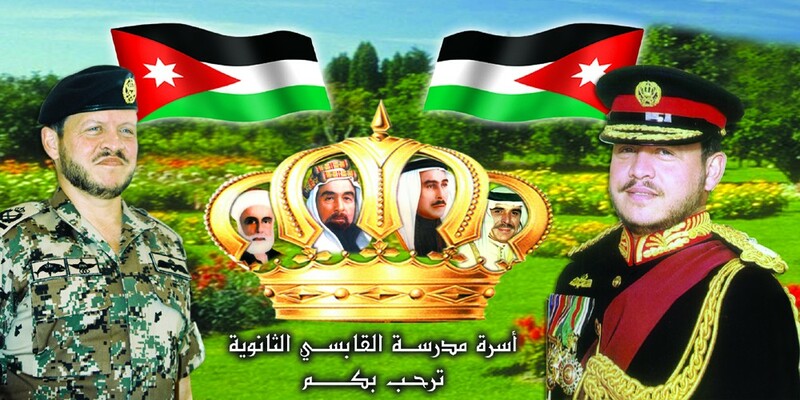 His Majesty King Abdullah II has continued this effort with the same steadfastness since the day he held the flag. Today, His Majesty is determined to ward off Muslim marginalization and isolation in the global movement of human society. His goal is to assert what the world’s 1.2 billion Muslims expect themselves to be: full partners in the development of human civilization, and in the progress of humanity in our age. The Muslim faith is based on belief in one God and the message of His Prophet; the daily prayers by which we connect to our Creator; the Ramadan fast in which we resist and discipline the desires of the body; the Zakat charitable tax by which we help others; and the Haj pilgrimage to God’s House, Mecca, which represents the unity of the Nation (the Ummah), and is performed by those who are able. These obligations, regulating human behaviour in all its dimensions, have created a strong and cohesive Nation and a great civilization. Equally important, they reflect deep principles that are needed for humanity’s own good: unity of the human race, equal rights and obligations, peace, security, social equality, the honouring of pledges, neighborliness and respect for others, and the protection of belongings and property. “The messenger believeth in that which hath been revealed unto him from his Lord and (so do) the believers. Each one believeth in God and his angels and His scriptures and his messengers – We make no distinction between any of His messengers – and they say: We hear, and we obey. (Grant us) Thy forgiveness, our Lord. Unto thee is the journeying” (Al Baqara: 285). Islam also affirms that Muslims, when spreading the call of God, are called to act gently on earth. Islam upholds human life. There is to be no fighting against non-fighters; no assault on civilians and their properties, on children in their mothers’ laps, on students in the schools, on older men and women. To assault the life of a human being is equivalent to assaulting the right to life of all – and this is one of the gravest sins, for life is the basis for the continuation of humanity. This is the faith that made historic advances in science, scholarship and intellectual life – achievements that empowered a great civilization, in whose achievements non-Muslims had their share, and which became the vehicle to bring knowledge for the West as well. Islam calls on Muslims to demonstrate tolerance and delight in human life; it opposes extremism, exaggeration, and intransigence. These phenomena are veils against right thinking – they conceal the repercussions of one’s actions, and encourage a reckless disregard for religion, reason, and civilized behavior. Indeed, Islam rejects extremism as a deviation from true faith and a form of injustice. Furthermore, it is not a trait that characterizes a particular nation; it is an aberration that has been experienced by all nations, races, and religions. We denounce extremism today, just as our forefathers relentlessly did throughout Islamic history. Time after time, they insisted on the importance of one clear truth: the ends do not justify the means. We speak this truth again today. Islam is a religion of ethics that seeks what is good for people in the entire world. Its principles are those of honour. The means for spreading Islam are ethical means. And Islam can only be defended through ethical means. Fighting injustice and realizing justice should be a legitimate undertaking through legitimate means. We call on the Nation (Ummah) to adopt what is necessary to achieve the strength and steadfastness needed to build itself and ensure the preservation of rights. No human whose heart is filled with light could be an extremist. We decry the campaign that portrays Islam as a religion that encourages violence and institutionalizes terrorism. Throughout history, extremism has caused the destruction of great civilizations. The tree of civilization wilts, and hearts close, when malice takes hold. It is an evil alien to Islamic values of moderation and tolerance. Today, we call on the international community to work seriously on implementing international law and ensuring respect for U.N. conventions and resolutions, ensuring that there are no double standards, that injustice is uprooted and that people’s rights are returned. Achieving this will contribute to uprooting the causes of violence, exaggeration, and extremism. The Islam that we are honoured to belong to calls on us to be involved in modern society and contribute to its progress. To achieve that, Muslims reach out in brotherhood to all those who love justice, reason, and righteousness. Islam guides us to express, earnestly, the realities of our lives, and to share the soundness of our faith and beliefs. This is God’s call for coexistence and piety. Islam guides us to work on reforming the religious discourse of civilization in our countries, through well-designed, practical scientific plans that focus on rehabilitating preachers. These priorities will ensure broad public awareness among these preachers of the true spirit of Islam and its methodology in building human life, as well as providing them with knowledge of contemporary culture and how to deal with their communities. Islam guides us to deal with the communication revolution, by utilizing the media in a sound, scientific manner, without weakness or emotional outbursts. Thus, we may respond to accusations stirred by enemies of Islam, while reaching all those who receive the messages of global media. Islam guides us to build up the Muslim individual through the best of education. Those who are confident in their knowledge and abilities are secure in their personalities, and through this self-confidence, present the distinguished outlook of Islam to the whole world. Islam guides us to benefit from and contribute to the achievements of this age. Islam encourages science and technology; it is a pioneer in its approach to comprehensive development. The Islamic approach provides a balance in spiritual, economic, and social life; provides for human rights and basic liberties; ensures the individual’s right to live in dignity and security, guarantees basic needs, and administers society’s affairs in accordance with the principles of justice and consultation. Such an approach both benefits from and strengthens the mechanisms of modern democracy. We attach great hope to the scholars of our Nation. It is they who will enlighten our youth – the generation that adorns our present age and will create and become our future. It is our scholars who will keep our youth from sliding down the paths of ignorance, corruption, close-mindedness and subordination, into the abyss of extremism. And it is our scholars who will hold a beacon to a different path – a path of tolerance, moderation, and goodness; guiding young people to the way of Islam and instituting its great values in their young hearts. Indeed, as role models in their religious manners, conduct, and speech, our scholars can contribute to the renewal of the march of our entire Nation. By their exacting standards of science, positive visions of politics, and the grace to take all matters wisely and meticulously; and by bringing people together, not dividing them, by uniting hearts, not turning them away, and by raising humanity’s eyes to the horizons of fulfillment: in all these ways, our scholars will help our whole Nation meet the challenges of the 21st century. Through such wisdom and achievement, Islam’s goodness, peace, and love will flow to all the peoples of the world. We pray to God: to provide our Islamic Nation with means of renaissance, prosperity and advancement; to shield it from the evils of extremism and closed minds; to preserve its rights, sustain its glory, and uphold its dignity. He is the best Lord and the Best Aid. God Almighty says: “And (He commandeth you, saying): This is My straight path, so follow it. Follow not other ways, lest ye be parted from His way. This hath He ordained for you, that ye may ward off (evil)” (Al An’aam: 153).